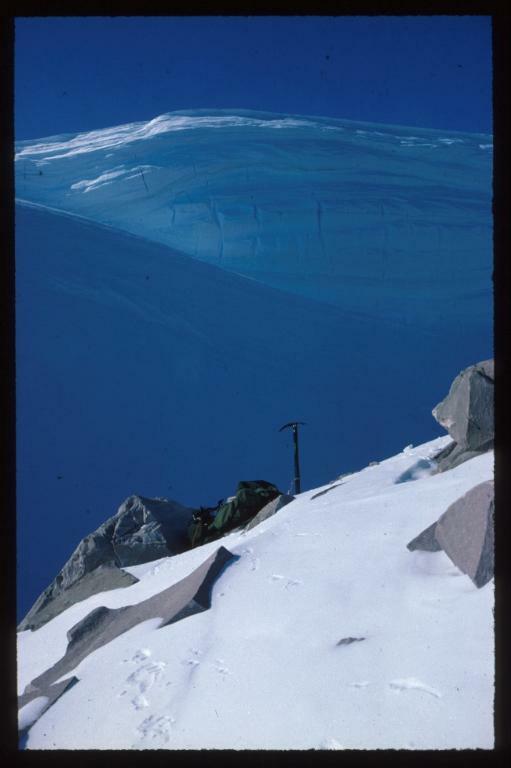 How to get there: The summit is located at 76.19.879 north, 26.19.897 west, this is a GPS measurement at the summit. Route description: Access from the south-west flank. There is a very impressive wind generated icewall separating the nunatak from the glacier in the west and north-west. 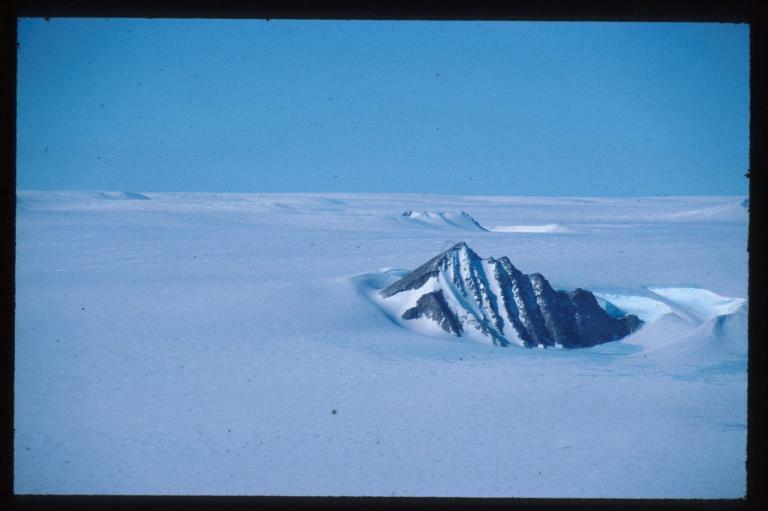 Comments: The nunatak is 100 meter higher than the highest ice connecting it to the glacier. ICEsoft, as seen from Cheops. ICEsoft, as seen from Trekanten. 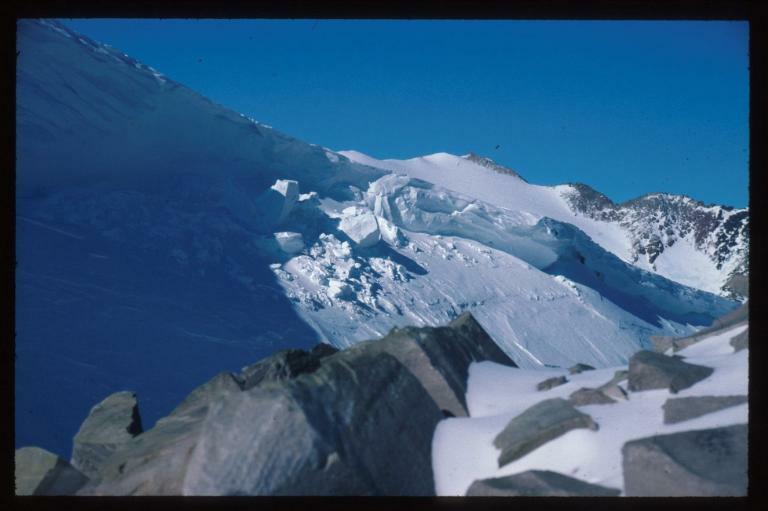 The big (and dangerous) wind generated "gap" between the main glacier and the nunatak ICEsoft (1910 m). 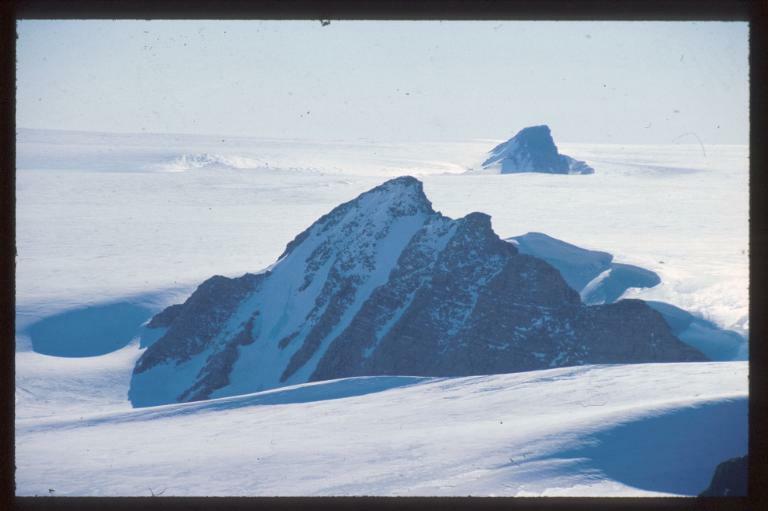 ICEsoft rises 100 meter above the ice on its base, TWMC can be seen in the background. From the (solo) climb of ICEsoft. 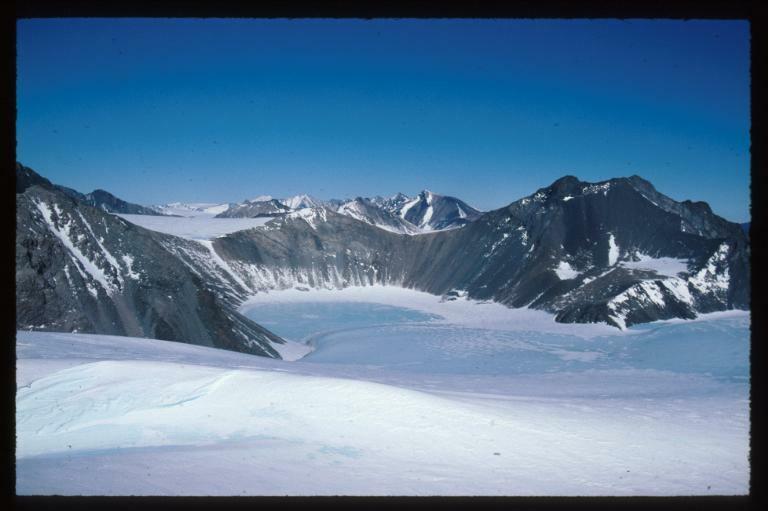 View north from the summit of ICEsoft.